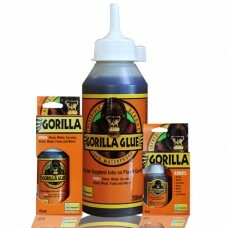 The Gorilla Glue brand, the toughest glue on planet earth. 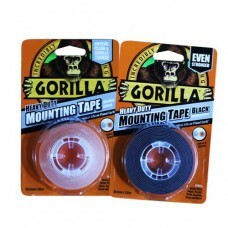 100% waterproof, once dry it is unaffected by extreme temperatures. 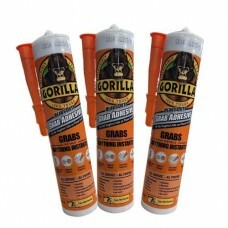 Gorilla Glue built a name for itself with its incredible, industrial holding power and versatility. 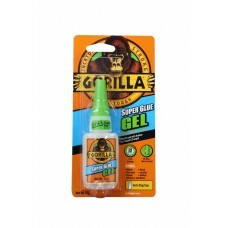 100% waterproof, weatherproof, and temperature resistant glue is water activated, expanding to 3x its size during curing, forming an unbreakable bond with almost any material, including wood, ceramic, stone, metal, foam, glass and much more. 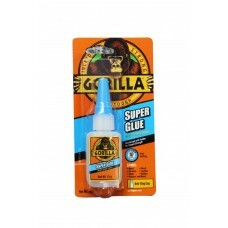 Gorilla Glue is safe for indoor and outdoor use and strong enough to stand up to intense heat or cold, Waterproof for interior and exterior use, can be sanded, stained and painted. 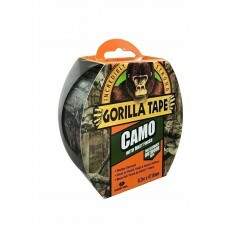 Gorilla 2 Part Epoxy Resin 25mlSets in 5 minutes!Superior solvent and water resistance, Epoxy glue i..
Gorilla Camouflage Tape 8.2m x 47.8mm.A strong, camouflage effect tape.Features:Tough all weather sh.. 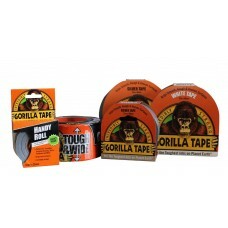 The best for strength and durability. 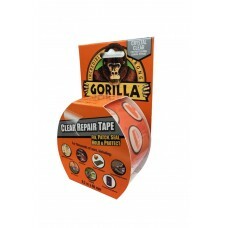 Gorilla Clear Repair Tape is the ideal solution for almost any..
Gorilla Heavy Duty GRAB ADHESIVEGrabs virtually anything instantly.All surface, all purpose.Works wi..
Gorilla Heavy Duty Mounting Tape A quick and easy solution to mount and repair. Industrial stre.. 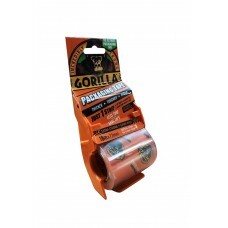 The Stronger, Thicker & Wider Packaging TapeCrystal clear for a finer finish.The ultimate packag..
Gorilla 'Incredibly Strong' GlueFor the toughest jobs on planet earth®Bonds: Wood, Stone, Metal, Cer..
Gorilla 'Incredibly Strong' TapeFor the toughest jobs on planet earth®Extra thick Extra stickG..
Gorilla 'Incredibly Strong' Super GlueAvailable in 15g, 1 x 3g pack and 3g twin pack. 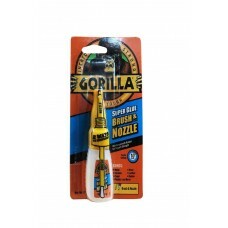 For the t..
With Gorillas' Super Glue Brush and Nozzle you have two ways to dispense, for control and accuracy.1..
Gorilla Super Glue Gel is a thicker, more controllable formula of Gorilla Super Glue. 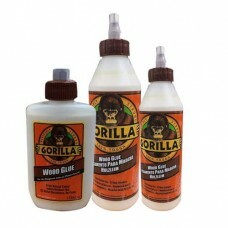 Great for vert..
Gorilla 'Incredibly Strong' Wood Glue For the toughest jobs on planet earth® Wood Wate..